Featuring their most consistent and loyal shoppers, Myntra has recently launched a digital campaign paying homage the love and commitment of these customers. 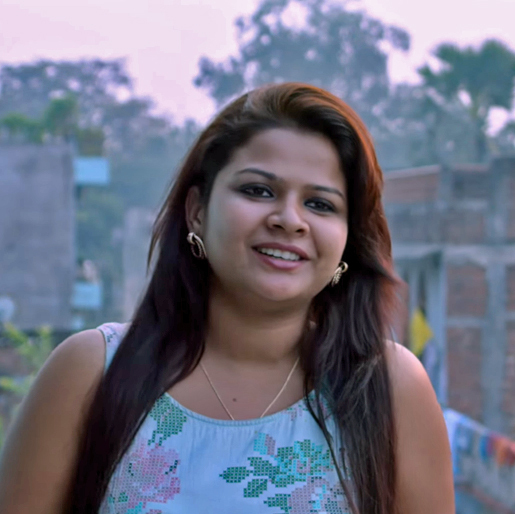 The second lap of “Myntra Unforgettables” video features Shristi from Patna who reveals how online shopping site Myntra has changed her life. More than 50% of customers of Myntra live in the Tier II and III cities and towns and among them is Shristi who was identified by the company using data driven insights. In the 2 minute promotional video you will see Shristi narrating her story. We get to see how she transformed from once being a shy and conservative person who perceived fashion as just another way to look good for the world. However, after an obstacle in her personal and professional life she changed her outlook towards her life and focused more on feeling good from within. She realized that in the end all that matters is how you perceive the world. Although her story is about the brand it is an inspiring one and more than just about shopping, style and brands. The video that is called “Myntra Unforgettables with Shristi” is all about the girl from Patna narrating her experience with Myntra. At the beginning of the video you will see the hustle and bustle of the city and the reflection of Shristi on a mirror applying kajal on to her eyes while reminiscing the earlier days when such embellishments were of no importance to her. Initially she considered fashion to be more of a demonstration for other people and not an essential thing to follow each day. Then her aunt enters the picture who points to a picture telling us how on Shristi’s farewell day at school she chose to dress up in her regular uniform while her friends were busy dressing up exquisitely for the event. Most part of her life while growing up she was never bothered about fashion. She wouldn’t even mind wearing Hawaii chappals with her saree and attend weddings. However, after she hit a setback in her personal life that bogged her down, she decided to change her outlook towards life. She realized the value of self-love and began her journey to become a more confident person and embraced fashion through online shopping with Myntra. While she is narrating her story, we see her getting ready for a morning jog down the streets of Danapur in Patna where it is a challenge to have access to brands. All this changes once Shristi and her family discovers shopping through Myntra. Over the years the whole family has vested their trust on the online shopping website. We hear her mother say that now it isn’t surprising to find a new Myntra package at their door step almost every day. In the final scene we see everyone in the household getting ready for an event and Shristi dazzling in a Kanjivaram saree. She excitedly says that her life has changed a lot and now she loves to dress up for the little things in life and all thanks to Myntra. She is then shown joining her family and they all head together for Ganga Aarti. 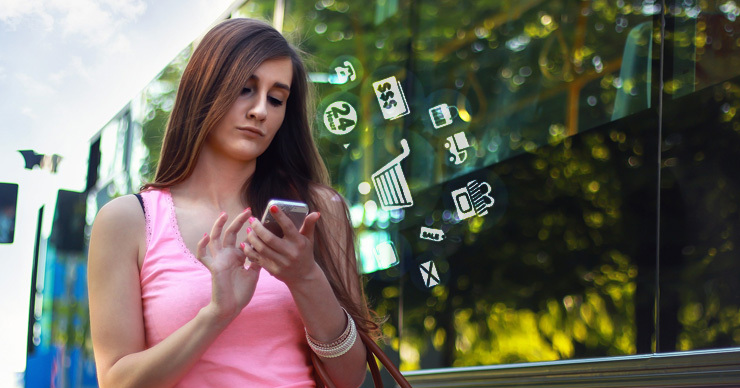 The demand for online purchase is increasing at a rapid rate. And while this phenomenon is more popular in the developed nations, India isn’t lagging far behind when it comes to the sustenance of the e-commerce business. Each day more and more retailers are choosing to sell their products online and reaching out to online market places to move forward in their business. Fashion retailing for one, is getting a massive bolster with the help of e-commerce websites. Especially online marketplaces that has hundreds of retailers selling their products on one website offering the consumers with a wide range of options. Hugely successful online shopping sites in India like Myntra has a number of fashion brands on their website including smaller fashion operators or start-ups that can find a footing in the industry. At any point in time, at least 80% of the online population is either shopping on the internet, browsing an ecommerce website or viewing an ecommerce advertisement. So technically your potential customers are online and they expect you to be available as well. This presence lets you keep up with the competition as well. Choosing e-commerce instead of a traditional store made of brick and mortar can actually save you money. You can automate your inventory management and decrease the cost associated with it with the help of web-based management. Besides the overhead cost associated with a physical store is way higher than setting up any ecommerce website. When you sell your products on ecommerce sites you can retrieve actual data that would define your consumer’s persona. Various pieces of information such as the customer’s buying habits, their interests and what motivates them, if used efficiently can make your brand an instant success. For brand awareness you have to delve into the online landscape whether you are selling your products through ecommerce or not. And if you are, brand awareness only becomes more efficient and easy. It is necessary that you use all the rich keywords in your content so as to reach out to your audience and it will drive the necessary traffic on to your webpage. With more visibility, people will become more familiar with your products that will lead to final conversions. Reputed online site like Myntra online shopping offers customers with all the relevant information about your products on their website. Customers appreciate these information and are able to make the decision to buy based on them. A good product description, customer reviews, shipping charges etc. enables the buyers to make an informed choice and you don’t have to make your staff answer them. Apart from everything else this also helps you to have more time for other important tasks at the workplace. Have you ever had to return something you bought because it didn’t fit, or you just didn’t like it as much as you had while buying it? We have all been there. If you have too, you probably know that feeling of embarrassment and awkwardness very well. But with Myntra’s customer-centric services you can say good bye to those feelings. Myntra has pledged to make returning products smoother than it ever was. 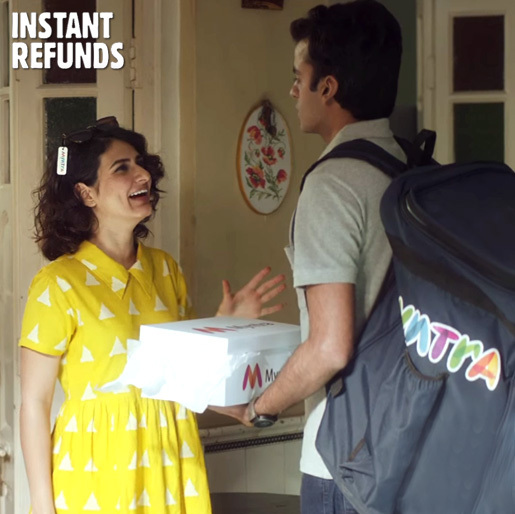 Myntra believes that its customers should only keep products they are completely satisfied and happy with, thus, introducing the unique Easy Return and Instant Refund policy. Now you can return any order or part of an order with “No Questions Asked” whatsoever. Myntra has developed to become the online shopping and fashion destination. It’s the one name that reverberates in your mind when you think of buying anything, especially apparel and accessories online. The flow of thought doesn’t just flow in one direction. It happens the other way round as well. Myntra has excelled in providing a trustworthy and rewarding service to all its customers keeping their wants, likes and needs in mind. This has ensured a seamless and convenient shopping experience for each customer. So the flow turns the other way with lots of people trying online shopping for the first time to high recommendations and a personal connect with Myntra. Now Myntra has always maintained the position to be working hard and fast towards making this experience of online shopping b4etter and better every day. And the hard work shows every day with their constant innovation and creativity in bringing world class services to its customers. To continue this trajectory, Myntra has now turned its focus away from the metro cities towards other parts of the country. Myntra divulged into researching the online shopping pattern and potential in tier 1 and tier 2 cities across the country and has found that these are the location where the next big thing in the online shopping industry will come from. With so many internet users in these smaller cities across India, the potential to adhere to online shopping which is much more convenient and hassle-free should come naturally. But it doesn’t. There is a reservation among these cities of whether they would get genuine and good quality products shipped to them and whether these products would be like they thought they would be while looking at their pictures. Myntra has thought of a way out of this. Myntra has time and again sho3wn us that it understands its customers completely and to make sure its tier 1 and tier two customers feel secure and confident while choosing their favorites clothes and accessories on the Myntra app and website, it has launched new features that ensure just this. The instant Refund and Easy return features, which will ensure instant refunds against products that a customer might be unhappy or not completely satisfied with and easy returns- which makes sure that if a customer decides to return the product in their order or a part of their order, they can do so without any hassle or embarrassment, with no questions asked, whatsoever. Shopping couldn’t get better than this!